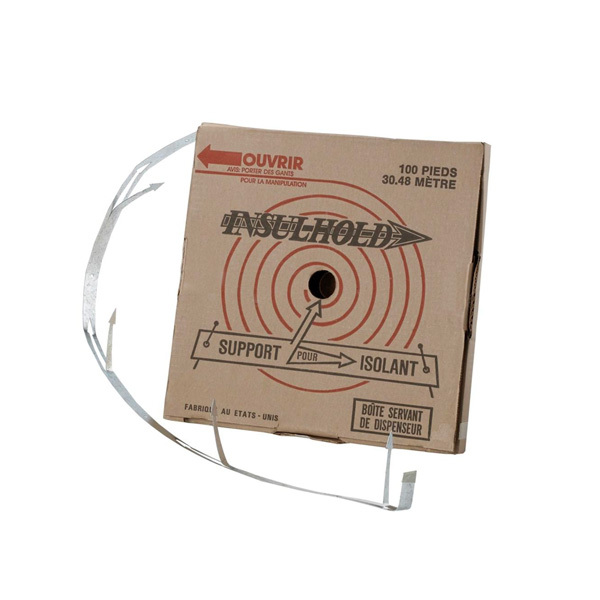 Insul-Hold holds rigid or batt insulation. The unique design simplifies installation, doubles as reinforcement strapping and meets federal specifications. 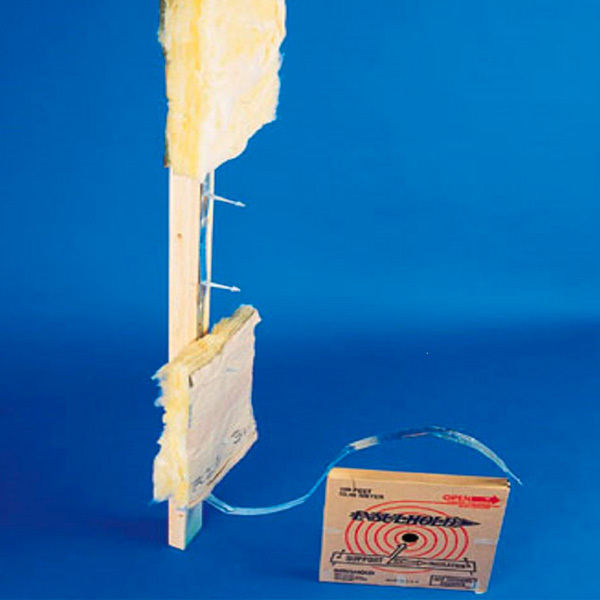 Insulation is impaled on the 2-1/2″ arrow prongs which are on 8″ centers. Use with either 16″ or 24″ on center. Product is .025″ to .028″ thick and 1″ wide. It is cold-rolled and hot-dipped galvanized with a dry finish.